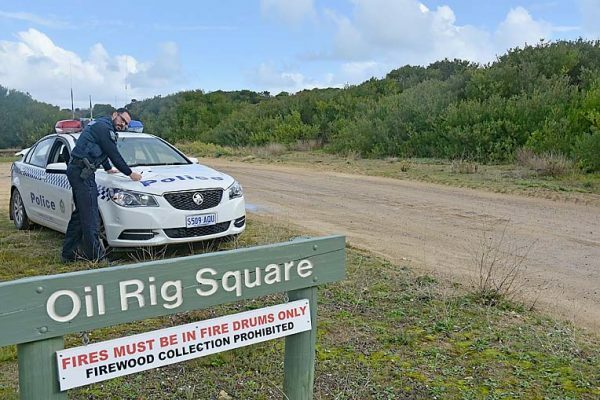 MISSING MOTORIST: Millicent Police Senior Constable Dave Leyden at Oil Rig Square in Canunda National Park as the search for Michael Reid continued yesterday. A 14-hour ordeal for off-roader Michael Reid ended at around 2.30pm yesterday after he was found unharmed by emergency services in Canunda National Park. It was a successful conclusion to a search which involved dozens of emergency services staff in the rugged terrain.